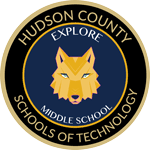 Thursday, October 11, 2018: Open House for prospective students (current 5thgraders) and application opens. Wednesday, November 14, 2018: Application deadline for students/parents. Wednesday, November 21, 2018: Last day to complete letters of recommendation via SchoolMint. Monday, December 17, 2018: Counselor Deadline to submit all pertinent student information through their Counselor Dashboard. Recommendation Letters must be submitted via SchoolMint by November 21, 2018. The 1st recommendation letter must be submitted by a teacher; the 2nd letter may be submitted by someone other than a teacher, although teachers are always recommended. Hard copies will not be accepted. Please do not send hard copies to the school. All applicants will receive a confirmation email stating the required teacher recommendation was received. The Admission Review Committee (ARC) is a school-based committee comprised of counselors, teachers and administrators. The ARC performs a comprehensive evaluation based on the applicant’s grades, attendance, scores, special skills, talents, interests, letters of recommendation, essay, learning preference and group and individual assessment (by invite). Applicants are selected based on this criteria while considering the demographics of Hudson County. Students/parents/counselors will receive a notification letter in mid-March; students will be notified of their orientation meeting upon acceptance.